The Swivel Straight tree stand allows you to set up a Christmas tree in three simple steps: clamp it, raise it and swivel it straight! And when the season is over, drain slots prevent messy spills during disassembly. 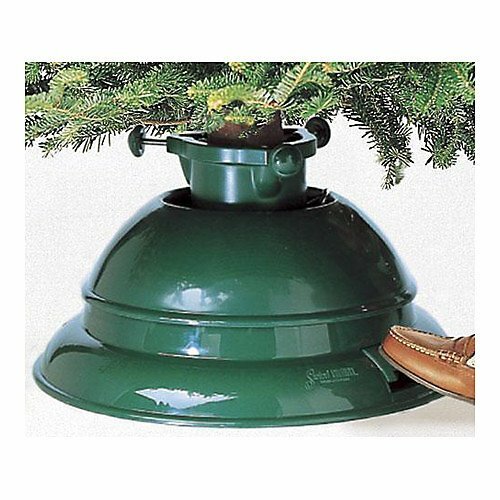 This stand is suitable for real trees up to 12 feet tall and features a patented accelerator ring and large bolts with comfortable handles that make tightening screws easy. Made with impact grade polymer, this stand won't crack, rust or harm floors. Choose from 20" or 23"